Quinn's Baking Diary: I've been tagged...Erm, nominated? Thank you very much Ancoo. It's a pleasure to have you tag me as one of your blog pal! 5. 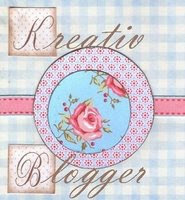 Nominate another SEVEN other Kreativ Bloggers. 7. Leave a comment on each corresponding blogs to let them know they have been nominated. I own a PINK Vaio, PINK stationery pouch, PINK mechanical pencils, PINK handset and PINK watches. On a side note, my love for PINK has involved others. I love buying pink shirts for Aaron on many occasions! I should start considering coming up with a PINK cupcake with PINK frostings! I’m not physically flexible or athletic but I’m not a nerd. I do pretty good Yoga though according to my Guru. If you consider the 30mins walk everyday back and fro to my Uni as exercise, it is no way that that is gonna in any way help me burn the quick-build up of calories on my hips! Dare you to leave me in a cookery section in a bookstore or in a 'House of Ingredients', I will buy anything related to baking from cookbooks to tools and ingredients. I have so many stocked up ingredients that baking almost anything on my to-do-list does not require me to make an extra round to the nearest supermarket! If you don't know what they mean, what do you suppose Google is there for? I'm no Christian if that's what you people wanna know. On days when I'm really tired, I hope the weatherman to make it as above. Makes me feel better tucking into my comfort zone, sipping my hot comfort soup with lotsa breads. Sometimes, with a movie as an accompaniment too! I have drop-dead cool parents! My parents rock. I feel like, on some cosmic level, I must have CHOSEN them as my parents. Sounds too weird for you? 1 comments on "I've been tagged...Erm, nominated?" Sound cool! I love it!